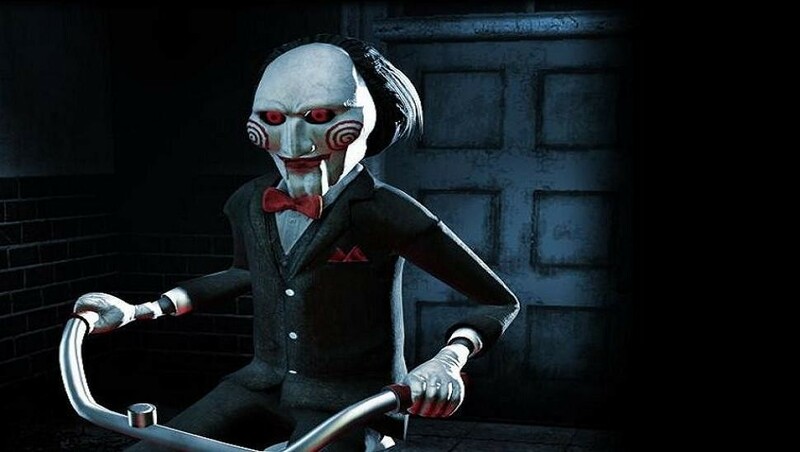 There is no thrill, sadistic or otherwise, in setting these games; they are throws of the die by the subjects, aleatoric opportunities... As Jigsaw makes clear..., "I've never murdered anyone in my life. The decisions are up to them." Whilst it probably wouldn't stand up in court, he is at least correct in his usual, carefully literal sense. The decisions, the choices, the selection of a potential, are in the hands of the subjects of his games and he only intervenes in order to keep the game within its rules so a decision can be reached. Let’s saw into Jigsaw’s ideology. John Kramer is a crafty engineer who is heartless informed by Dr. Gordon that he has cancer and will die. John plummets into despair and drives off the road attempting to kill himself. Savagely removing the car chunk that impaled him he survived. 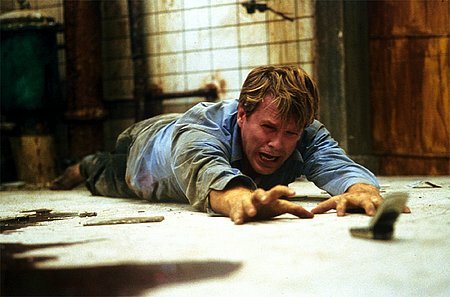 Renewed by the demonstration of will, John Kramer turns into Jigsaw. Looking out at the world he sees the powerless rabble. People trapped in cycles of maladaptation. Using his personal experience as an example for universal change he begins taking the destitute hostage. Trapping the chronically maladaptive in games loosely based on their real life struggles and forcing them to play by Jigsaws rules. Fight or die. Make a choice. Marx, of course, was referring to how a worker on an assembly line is alienated by the process of production. The worker is paid only fractions of what a manufactured items profit. The division of labor organizes work to take complex tasks and simplify them to small repetitious labors. Each element gives the worker only partial reward or responsibility. Distanced from the effect and organization of her labor, she is made dumb by the work itself and at the same time reduced to another machine for the purpose of someone else’s profit. Addiction works similarly, but on the other end of the assembly line. The over eater is constantly buying food, eating food. All life is reduced to the task of keeping the maladaptation happy. The maladaptation profits while the person dies inside. Cycles of brain juices learn to fire in patterns that refocus the brain around the addiction. Eventually, coordinating an individual’s biochemistry to rely on the addiction for ongoing survival. This is why it is dangerous for several alcohol addicts to quit cold turn without a supplement. The body has refocused its survival around adapting to the addiction. Psychologically, this works the same way for the poor parent as well as the pyromaniac. Our thoughts justify, and rationalize to a place for the maladaptive behavior to such an extent that when the behavior is challenged a person’s sense of identity is called into question. The depression John Kramer experience was a prompted by the callous way in which he was treated by the hospital. Doctor’s treated him like a broken toy. Disregarding his dignity at every turn. This alienation combined with his awareness that death was imminent, crippled his sense of self in the world. His personal will to power, which he held in such high regard even before becoming jigsaw, was displaced when death foreclosed on his future freedom. Left futureless, nihilism sets in. Of what value am I if what I pride most is no longer a reality? In this abysmal state he drives off the road and crashes. Pain overwhelms him, triggers his flight/flight/freeze response. Choosing fight, he yanks the car part from his torso and is born again. Jigsaws fate, unlike his victims, is not forced on him. He is a victim of the capitalist health care system, which values profit over people. 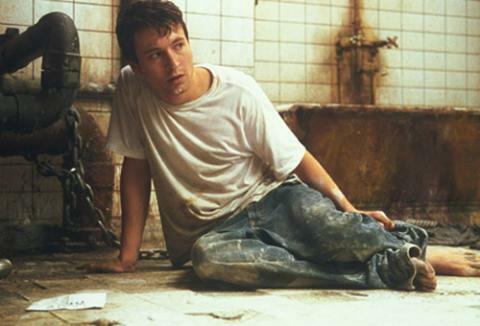 But, Jigsaw's maladaptation was not chronic in the same way as his hostages. John’s moral failure was a moment of weakness, not years of drug abuse. John, already had, self power built into his subjective experience before he attempted suicide. No wonder what he found important became important again. But is this the case for everyone in the world? Is Jigsaws white upper class privileged social capital the best perspective in which to judge the poor and underprivileged. There is a sense in which John’s behaviors betray his moral ideology. John while targets random that he feels have failed in life with pride, also targets key points in the production of his personal suffering. Jigsaw is not as selfless or republican as he first seems. As the films go by he eventually puts captures and puts into the game every person directly or indirectly responsible for his original lapse into depression. Rather than purely sick altruism, Jigsaws, targets are also key points for revenge and points of production in the system that allowed him to suffer in the first place.